1 5/8 ” to 2 1/8 ” (41mm–54mm) standard including Vandlgard ® functions. 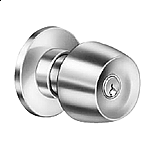 1/2 ” (12mm) throw, deadlocking on keyed and exterior functions. Meets or exceeds A156.2 Series 4000, Grade 1 strength and operational requirements. 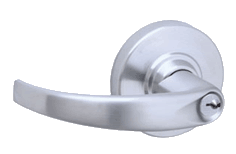 1/2 ” (64mm) returns comply; Schlage levers return to within 1/2 ” of door face. 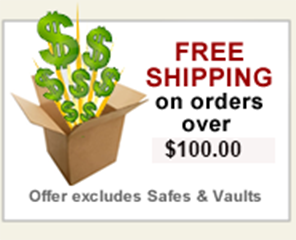 All levers with less than1/2 ” (64mm) returns comply with California Fire Safety Codes. 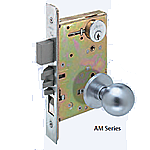 Schlage Lock Company offers a wide selection of lever locks designed to meet the Americans With Disabilities Act.